30yr old self-taught DJ, producer & label owner (Leeds, UK). Oliver is an artist but an avid music fan first and foremost who earned his gigs the old school way. He began mixing from age 15 in 1999/2000 on belt drive turntables and the passion for music that came with clubbing continued through to the current day. During the last 16 years as a DJ he has played everything from house & minimal to progressive trance, maximal techno, electro and everything inbetween so his style is adaptable to various crowds and more importantly he has the ability to read them. He has played in most of the venues in Ibiza in addition to domestic gigs. He is currently a resident DJ at Techno Breakfast Club in Sheffield (UK), EMFA radio (USA) and does a monthly LIVE MIX using vinyl and CDJ which is broadcast on ah.fm 2nd Sunday of the Month, 3PM UK / 4PM CET. His label (Tranceform Recordings) launched in 2015 and has seen all 9 releases chart in the top 50 on beatport with 2 charting in the top 10. He has used this as a platform to get newer artists recognised and supported by more established DJs. As a producer he has had releases on Fireball and Mythical Digital but have several projects for release in 2016 on defcon recordings and a few collabs which will be sent out as demos very shortly. 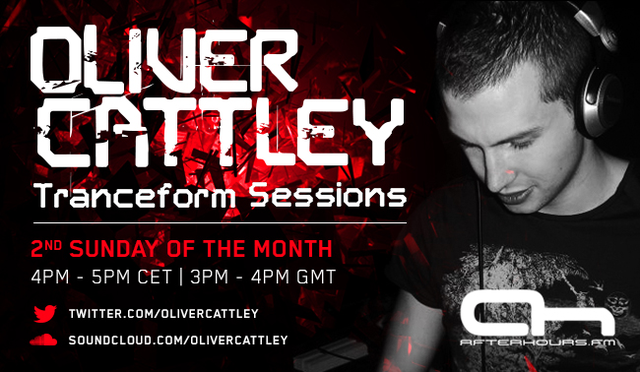 Tranceform Sessions is broadcast on AfterHours.FM every 2nd Sunday of the month at 15:00 GMT.